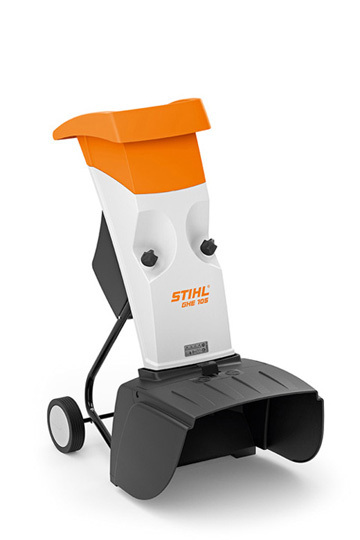 The compact STIHL electric shredder GHE 105 was designed for occasional shredding of medium material quantities. The garden shredder processes hard tree cuttings, mixed green cuttings and foliage. The cutting unit is driven by a motor and shreds branches up to 35 mm thick. The cloverleaf opening simplifies the feeding of branches and twigs. A low weight ensures easy transport. 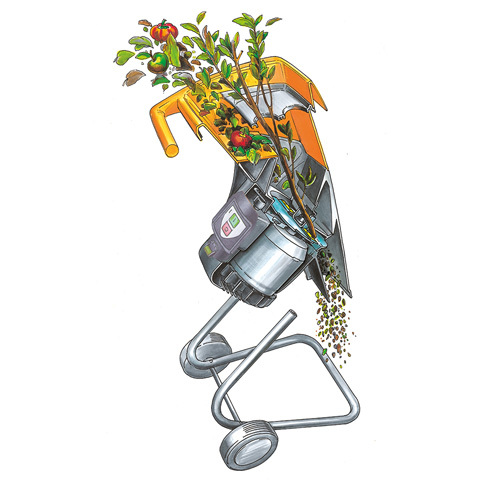 The electromagnetic safety lock prevents the garden shredder from starting automatically during maintenance operations or when the blade is being changed, for example. 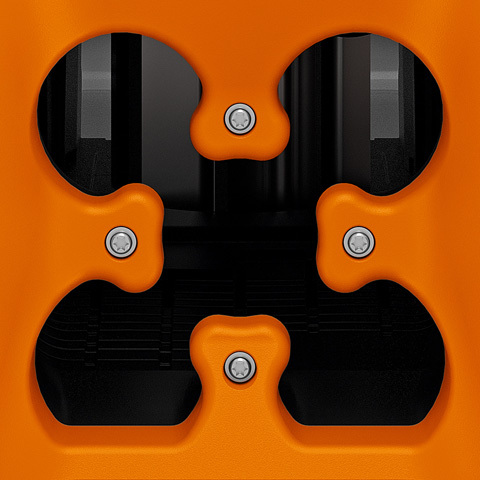 The safety switch is integrated in the opening mechanism on the STIHL shredder. As soon as the closure screws on the machine are unscrewed, the safety switch is tripped and the current flow is interrupted. The blade unit on the Multi Cut 103 cutting system transforms the STIHL electric shredder GHE 105 into a versatile machine. It can chip hard branch material and shred soft green clippings as well as plant trimmings to a consistently small size. The multi-bucket tooth disc incorporates reversible chipping blades, wing blades and an aluminium counter-cutter. 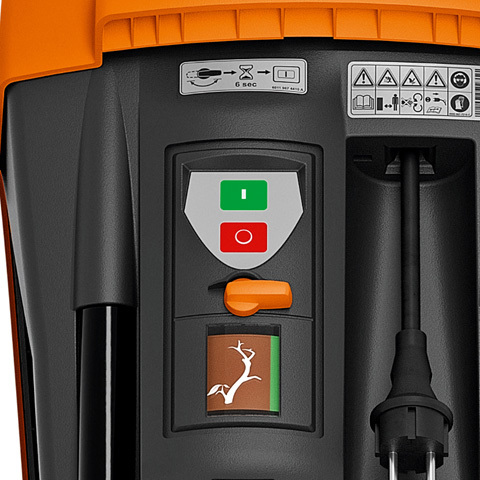 The housing of the STIHL shredder is fitted with a touch pad switch and an operating indicator to allow simple and intuitive operation of the garden shredder.